News - Page 2 of 7 - SeaWind Musical Instruments Inc.SeaWind Musical Instruments Inc.
Great time to pick up a SeaWind saxophone. Now on sale at Tom Lee Music stores. All items available on the web site now 30% off through December 31st. Ends at 11:59pm PST. Use coupon code SEAWIND30 at checkout. This includes Jody Jazz mouthpieces, Cebulla neck straps, saxophone necks, flutes, clarinets and more. Our SeaWind saxophones are not available through this promotion. Black Friday at SeaWind. Clarinets and Flutes now on sale till Dec. 20th. Looking for a great student model flute or clarinet, check out our SeaWind horns now on sale till Dec. 20th. Perfect holiday gift! Another great video from SeaWind Artist Oliver Miguel. In recognition of John Lennon’s 75th birthday, he’s done a great rendition of Imagine. His latest feature’s Amy Bishop. 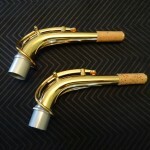 More Jody Jazz mouthpieces now in! Now Carrying the HR* soprano and baritone saxophone mouthpieces. The DV line of metal 24kt gold plated mouthpieces are a real hit, so we have decided to also carry the DV NY version as well. We would like to welcome Second Wind Music in Lincolnville Maine, USA, now carrying our SeaWind saxophones. If your in the area, please visit them and give our saxophones a try. SeaWind artist, and company co-founder, Phil Dwyer will be doing 2 concerts later this month. On August 27 he will be at the Ironwood in Calgary with a wonderful group of musicians from the faculty of the Ambrose University jazz camp. August 29th he will bring his trio, with Ben Dwyer and Greg Ritchie, to the PEI Jazz & Blues festival in Charlottetown. 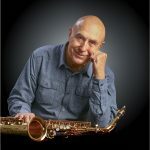 Two great opportunities to hear the SeaWind tenor played by the saxophonist they were designed for! Check out this clip of Phil and Ben working out on the standard “If I Should Lose You” with drummer Hans Verhoeven. Excited to announce that SeaWind has landed in Germany. Die Holzbläser or The Woodwind Shop in Berlin is now carrying our SeaWind Tenor and Alto saxophones. Its a real pleasure to have Patrick MacGibbon endorsing, and yes actually playing our SeaWind tenor saxophone. Pat is an award-winning saxophonist, recording-artist, bandleader, and educator. His album, “Music for Listening,” is available from iTunes, Amazon, CD Baby, Google Play Music, Spotify, and other music streaming sites. He is also the author of the book, “Rethink the Woodshed: New Rules of Practice,” which aims to give musicians increased clarity and productivity in the learning process. Visit Pat at http://patmacgibbon.com and follow him on Facebook, as he presents many educational videos, tips, and performance clips.